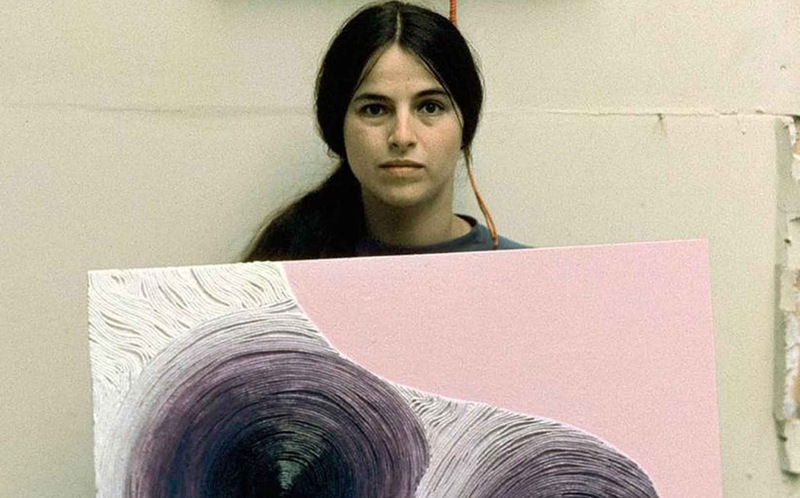 Marcie Begleiter’s Eva Hesse has been held over at Film Forum and it’s significant that audiences have been so drawn to the documentary about the artist who died at 34 of a brain tumor-- since the world it describes is definitely not what's happening in art today. Richard Serra who's one of the many artists interviewed in the film (Nancy Holt, Tom Doyle, Hesse’s first husband, Robert and Sylvia Plimack Mangold and Carl Andre all make cameo appearances) remarks that “commodification hadn't occurred” when Hesse first emerged. It’s almost as if Hesse’s life provokes a nostalgia and even romanticization of the so-called troubled and angst-ridden notion of the artistic personality. One of the most significant elements of the Hesse film is the way it turns to her actual diary pages, which are shown on screen. “There’s not been a normal thing in my life, not one, “ she writes. She calls one of her early ars poetica, The Autobiographical Sketch of a Nobody (1955), “Pretty face, pretty body, pretty drawings however the person does not feel pretty inside,” she remarks in another passage and in yet another “the true artist is a paradigm for the true misfit.” Animations are employed to dramatize these passages including one in which her history as refugee from Nazi Germany fuels a dream of being captured by Nazis who “said if I were not a child they would have killed me.” When you look at the big artistic careers today, of Jeff Koons or Damien Hirst, promoted by international dealers like Larry Gagosian who treat art as just another tangible asset, Eva Hesse charts another era. It’s not that Hesse herself wasn’t ambitious, but it’s a matter of the horse and the cart. Despite the encouragement she had from artists like Sol LeWitt, one cannot imagine her self-consciously engineering her career with the public relations savvy and marketing skills of today’s superstars. On the other hand once she got going and found her niche in Postminimalism--in the sculptural work that appeared in her "Chain Polymers" show at the Fischbach gallery in l968, including the iconic buckets of "Repetition Nineteen III"--she was obsessed with success, right up until her untimely death.